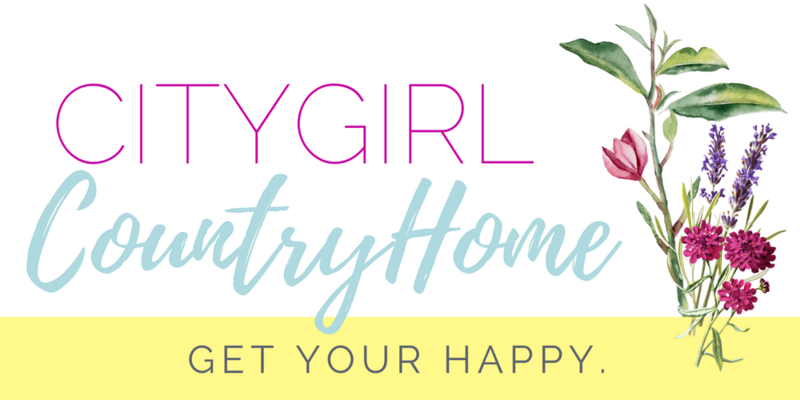 Hey, hey, hey…the holidays are here! Yes, Christmas is in full swing…do you feel it in the air? Or maybe not. Maybe your focus right now is on all the things you need to do and attend to, and just thinking about them makes you feel stressed and overwhelmed. I absolutely can relate — that feeling of being stopped in my tracks, stumped, frozen…like what do I even do next with so much on my to-do list? It’s like my brain is hanging, much like a computer. Take time to pause and reflect. Ask yourself: What is this season all about? Why am I doing all these things? Is this essential? It’s important to take stock of your life at this point so that you don’t allow all the busyness to get to you that before you know it, it’s all over. If you can’t afford a prolonged period of time, then just spend a few minutes in solitude. Close your eyes and take a deep breath. So you may be going through a lot right now and things aren’t perfect. Stop to think of the ONE THING that would make your Christmas truly meaningful. Observe the things around you. The lights, the gifts, the food, family and friends. See Christmas through the eyes of a child. Activate that gift of wonder. Savor. Notice all that is good. And always, always be grateful. The world shouts with so much noise, which is why it’s so important to intentionally quiet yourself and listen. Listen to what God is telling you in your heart. Perhaps He has a special message just for you — something that will cheer you up and strengthen you. Listen to the ones around you as well. Be sensitive to their needs. Are they in need of some encouragement, some kindness, some love? Go ahead and reach out. These are just a few ways, but I pray that they may help you to have more peace and joy during this holiday season. Ultimately, to have a stress-free Christmas means to find rest in Jesus, our Savior. 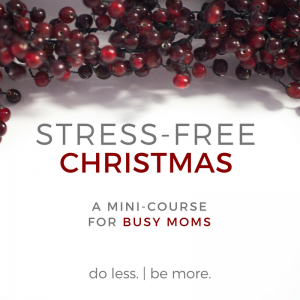 This post is based on “Stress-free Christmas: a mini-course for busy moms.” (Now on sale.) This is perfect if you want to have your own personal Advent retreat. To purchase your copy, click here.